Just minutes from McMillan parking lot. Not suitable for parties of more than 10 people. 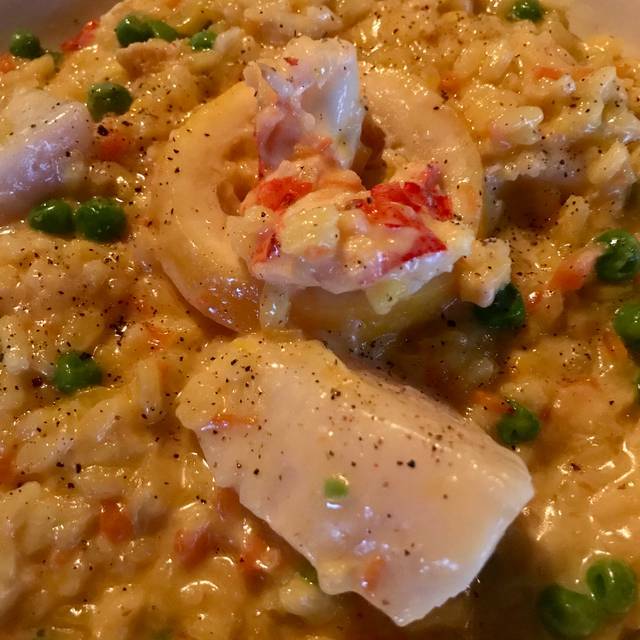 Ross’ Grill is Provincetown’s most talked about dining experience. Located on the second floor of Whaler"s Wharf, just steps from Commercial Street, Ross’ Grill offers breathtaking harbor views with a European bistro atmosphere. Our guests enjoy an fun, inviting, and first-class dining experience. It’s no surprise that Ross’ Grill was rated “excellent” by Zagat’s Dining Guide. With over 75 different wines served by the glass, guests can enjoy a wine that suits their palate as well as compliments their menu selection. Ross’ Grill also has a full liquor license with a variety of signature cocktails. Elevator access to second floor. PLEASE NOTE that Bar seating is actually at the bar and not tables near the bar. Ross’s Grill is one of my fav places to eat in Ptwon: View and the Food! Service can be sketchy - like the screeching host or the reluctant/unsmiling waiter (very un-provincetown). But overall a good place to hang your hat in the evening! Caesar is the best owner bar tender and the greatest American success story. He started out as bud boy and now owns the place! Ceasar the bartender is always so friendly and accommodating. He makes the best cocktails! We ate at the bar, last seats available by reservation and loved the atmosphere, the food, great drinks and generous pour. The owner/bartender Cesar was so positive and welcoming. In my opinion, the best restaurant in Provincetown. 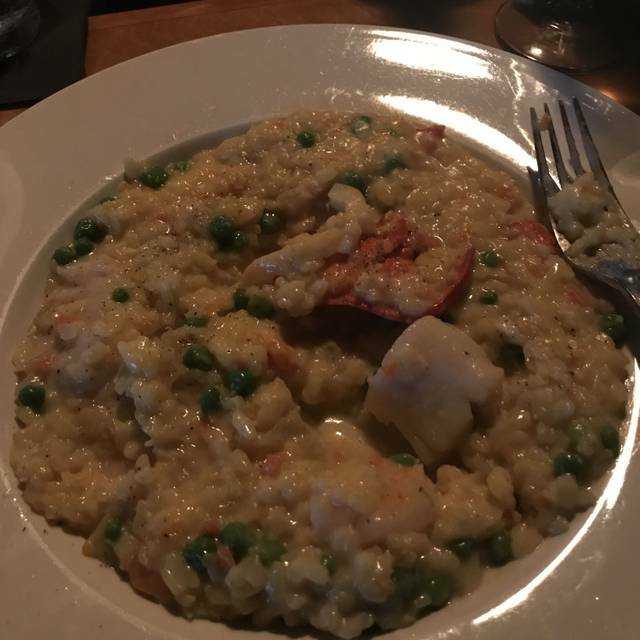 I typically will go with the seafood risotto, which is incredible. The french onion soup is almost it's own meal and it's the best I've ever had. The service is wonderful - special shout out to Dimitar, who's always fantastic, and to Cesar, the owner, who treats us like we're home. Overall, a great experience whenever we go! One of my favorite restaurants in Provincetown. The Short Rib is fabulous! I would recommend this to everyone! Great service, great atmosphere and great food! The owner Cesar and staff are so gracious and food was outstanding! Great food, drink and hospitality. Cesar is a wonderful host. Fabulous food, service, and atmosphere. Was by myself so sat at the bar. The owner waited on me. Such a great guy. I felt like I was getting personal service. Started with the grilled romaine salad and then the short ribs. Everything was incredible. I would recommend Ross’ Grill to anyone looking for a great place to get a great meal with an incredible view. Ross’ Grill and staff never disappoint. They are quickly becoming my favorite restaurant in town. Everything was perfect. The food outstanding and cooked to perfection. Our waiter could not have been any nicer or more professional, yet friendly. I live in Ptown mostly year-round so go to Ross’s often all year-round. Love the 1/2 off main course offering for the month of March! Food & staff are excellent & the atmosphere is lively even in the winter/spring. Are — and the ambiance was like being in a fun happy party! Food and drinks were great. Server very friendly. Overall it was a great first night on our winter vacation in P town! Appetizer and entree options were appealingly varied, something for every taste. The entrees were excellently prepared. The Tuscan Cod was exquisite. Service was very cordial and prompt. The salads were a bit tired. Although the wine selection was extensive, a serious problem was there was no budget-friendly bottle of red wine available. The least expensive was priced at $48.00. We hope this gets addressed. 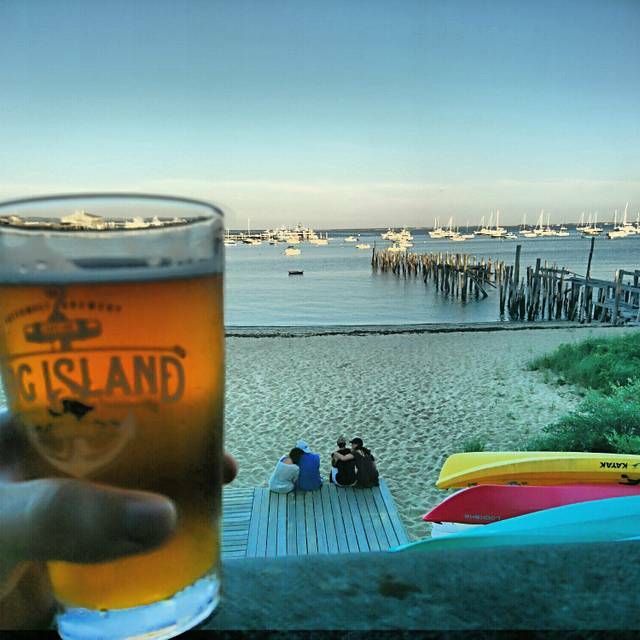 This is definitely the best all around restaurant in Provincetown! In town for two days? Go to Ross’s twice!! Food, service, cocktails and atmosphere are tops! The view of the harbor is beautiful while enjoying afternoon cocktails, appetizers or tapas. The venue is casual/trendy. Owner, Cesar, will make you the very best beverage or serve the perfect wine for your romantic date or overdue family gathering. The full moon on the evening water in not to be missed. Save the best for last. Desserts are true works of culinary art!! I always bring my out of town guests to Ross’s! This was our first visit to Ross's Grill and we look forward to many more. 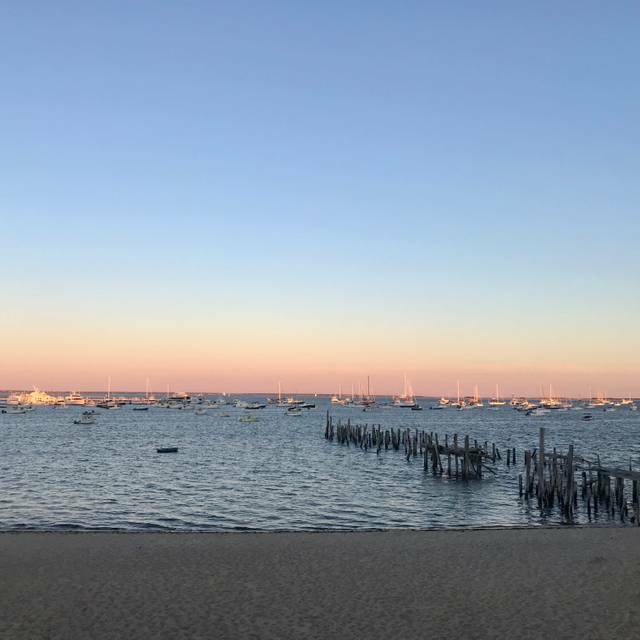 The location is right on the water in Provincetown, so the view is amazing but the food and service is as amazing, the service was friendly and helpful, the menu selection is diverse and interesting. We found the value to be very good for being so remote on the cape. 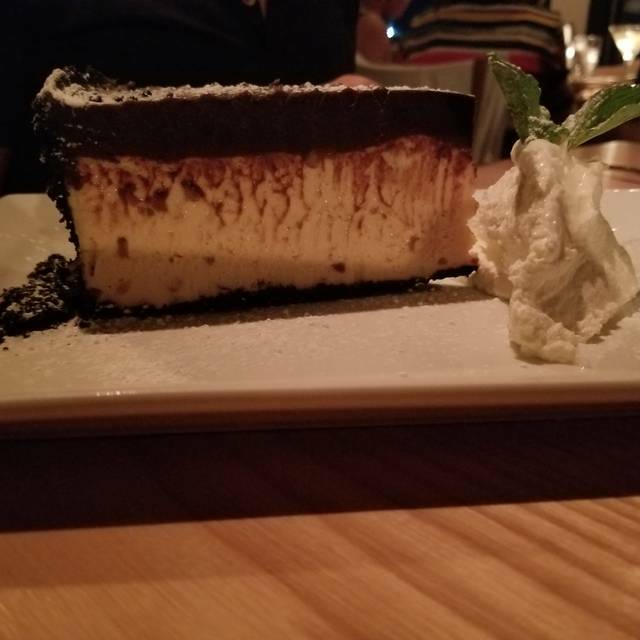 If you are not from the P-town area it is worth the drive, but I would make reservations in advance, even on a snowy winter night and the roads in and around P-town were empty Ross's Grill was full with lots of energy. Fantastic!! Everything, the whole customer experience. Always a treat when we visit PTown. And doubly so in March with snow on the ground, a chill in the air and the threat of a winter storm. So hot French Onion a soup, a superb risotto and a unique paella wit a high proportion of shellfish protein to rice. Plus the wonderful wine list. And in March all entries are 1/2 price--about $16 each! Still the same quality and good service. Love this place; whenever I’m in PTown I stop in for a meal. Owner and staff are super nice and the food is great. Cesar and his staff always make a visit to Ross’s a special occasion. Love Ross'! In season and off season, there is no whee in Ptown like it. This is our favorite restaurant in Provincetown! The food, cocktails, service, venue and view are all first rate. While the menu offers the freshest seafood and eclectic delights, desserts will amaze you! Whether you share appetizers with friends, enjoy a romantic dinner or have that overdue family get together Ross’ Grill is the perfect spot! Make a reservation! Ask to meet Cesar, owner and mixologist! Lovely food and drinks with a great view of Province Town bay. Never disappointed here. The service, food, wine are always fresh, inventive and delicious. The short ribs don't even need a knife. 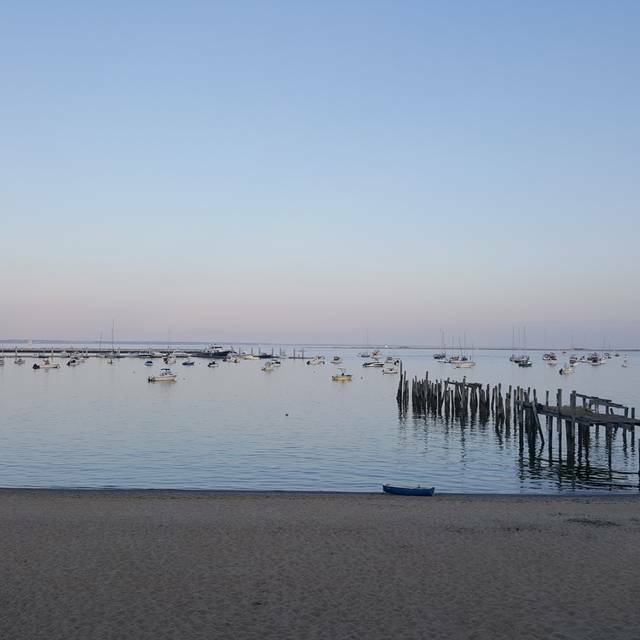 Make it a priority when next you are in Provincetown. This was our first time dining at Ross's Grill in P-Town while in town celebrated New Year's Eve. We had arranged Bar Seating and was waited on by the Owner (which we did not know at the time) the two gentlemen next to us advised that fact after our meal. 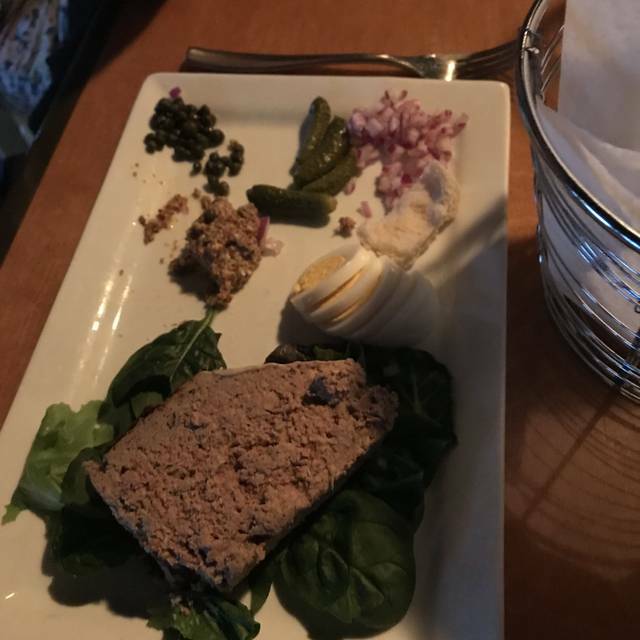 The Service & Food were exceptional, we were not rushed and were able to enjoy our evening out together in a beautiful restaurant. 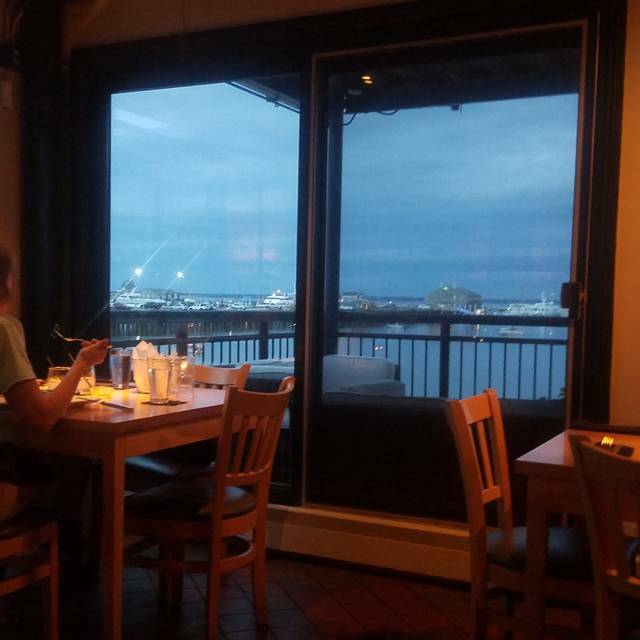 I only wish it was light outside so we can further enjoy the entire Waterfront experience, we will definately visit Ross's Grill again on our next visit to P-Town Summer of 2019, Top rated "Everything" !! Especially , the after dinner Cordials which were a very generous pour, yippee !! Awesome place, excellent food, superb service! You can’t go wrong with any dish on the menu! Great food, excellent service and wonderful atmosphere. Ross’ is a must visit for any trip to Provincetown. Excellent food in a fun atmosphere. Specific request to not have rice with entree. Entree served with rice - no correction made or offered. Great company Christmas outing! We had a great time at the large family table. Everything was perfect- thank you!